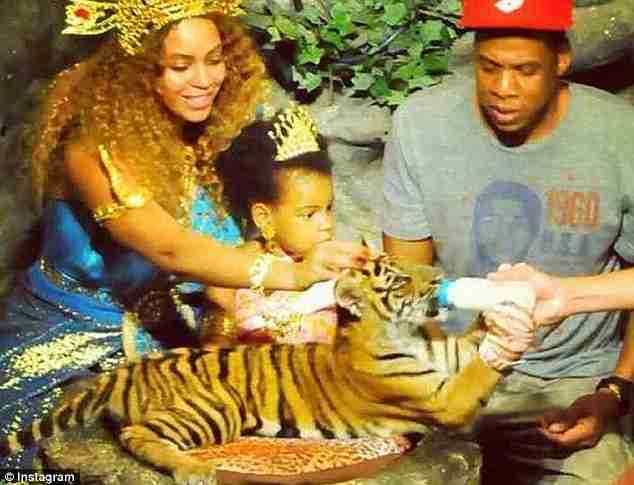 Beyoncé's Daughter Mauled by a Tiger! That could have been the headline of this blog. And, what's worse than putting oneself or one's family at risk is spreading the message that this hazardous behavior is acceptable. Let's face it; Beyoncé and Jay-Z are role models to countless young admirers. What they wear, where they travel, their lingo: meticulously copied and adored by their legions of fiercely loyal fans. (To underscore the extent of their influence, Beyoncé's popular term "bootylicious" was even added to the Oxford English Dictionary in 2004.) So, simply by virtue of being posted by the almighty Beyoncé, this tiger cub photo works to publicly glamorize pictures with captive wildlife. As you can imagine, it's generally unsafe for humans to handle wild animals. How, then, do prop photo operators ensure that the animals are docile enough for handling? Sadly, the animals are typically abused into submission: drugged, mutilated, and/or restrained to make them 'safe' for tourist interaction. Lions and tigers are drugged or declawed; alligators have their jaws wired shut; monkeys are kept on tight leashes and have their teeth extracted. To make matters worse, the animals-reduced to mere props for profit-are often obtained from the wild, prematurely separated them from their mothers, only to be housed in deplorable conditions. And, finally, when they have outgrown their use as photo props, the animals are often dumped in zoos or circuses... or even killed. As if that's not depraved enough, Born Free has recorded numerous incidents in which captive wild animals have injured or killed humans. I remember the sad story of Haley Hilderbrand, the 17-year-old Kansas girl who was killed by a captive, chained tiger while taking a photo for her high school yearbook. Must we replicate this tragedy before the lesson is learned? Tigers are wild animals, plain and simple. 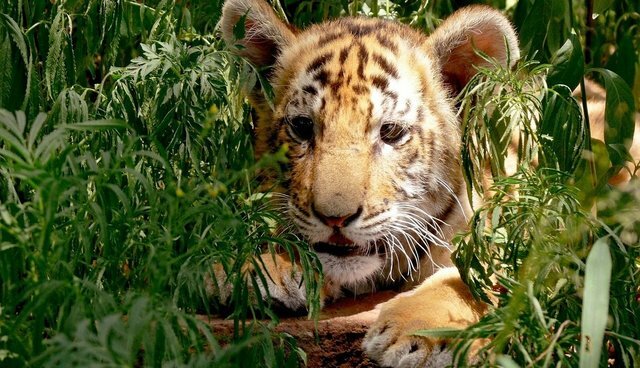 It doesn't matter if a tiger is wild-caught or captive-born, juvenile or adult, male or female, tethered, or drugged; contact with a wild animal poses an inherent safety risk. Taking a picture with a tiger is like playing Russian Roulette. Captive animal entertainment is inherently unnatural at its best, and cruel-or dangerous-at its worst. Celebrities like Beyoncé and Jay-Z are in a unique position for cultural impact. As role models, they should set a humane example-not an exploitative one-as their potential for influence is massive. Every unwitting child who chooses to pose with a tiger as a result of seeing celebrities do so is at risk. Imagine if Beyoncé and Jay-Z decided to expose tigers to the world by supporting their conservation in the wild, instead. Maybe a donation to the Satpuda Landscape Tiger Programme? We at Born Free believe that wild animals should remain in the wild, free to live out their lives as nature intends. An animal should not be captured from her natural range, ripped from her family, and forced to entertain human beings. An animal should not be raised in captivity for her entire life, isolated from others of her kind, and confined to the bounds of an enclosure. A wild animal is not suited for life in captivity, let alone as a forced performer. And, of course, abuse is synonymous with the prop photo industry. Druggings, beatings, mutilations... all for the sake of an Instagram photo? Cruelty is not cool; compassion is.